Rev. Marvin R. O’Connell, professor emeritus of history at the University of Notre Dame, died early Friday morning (Aug. 19) at Dujarie House in Holy Cross Village. He was 86. 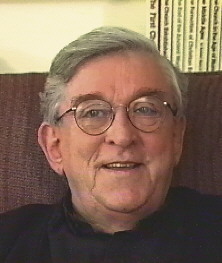 He discovered a vocation to the Catholic priesthood as well, studying at the St. Paul Seminary of the University of St. Thomas and earning a master’s degree in history before being ordained for the Archdiocese of St. Paul and Minneapolis in 1956. He earned a doctoral degree in history from Notre Dame in 1959 and returned to St. Thomas to teach history there until 1972, when he joined the history faculty at Notre Dame. “Father Marvin O’Connell stands in the very front rank of the distinguished historians who have taught and written at Notre Dame,” said Rev. Wilson D. Miscamble, C.S.C., professor of history. “He utilized his striking talents as a historian as an integral part of his fundamental vocation as a priest. He well understood the crucial role of the historian in the life of the Christian people, and he made the history of the Church his special subject. Father O’Connell’s magisterial account of the life and times of Edward Sorin should be required reading for all those who want to understand the history of this university that he loved and served so well." A wake service will be held from 4 p.m. to 6 p.m. Tuesday (Aug. 23) at Kaniewski Funeral Home, 3545 N. Bendix Drive, with a Rosary at 5 p.m. A funeral Mass will be celebrated at 9:30 a.m. Wednesday (Aug. 24) in the Basilica of the Sacred Heart. Burial will follow immediately in the Holy Cross Community Cemetery at Notre Dame. Memorial contributions may be made to the Rev. Marvin R. O’Connell Award Fund in Notre Dame’s Department of History. Originally published by Michael O. Garvey at news.nd.edu on August 22, 2016.